I decided on this title after the piece was nearly finished. These beautiful wildflowers, along with the mere sound of the name, conjure up images of wind and wilderness trails for me. 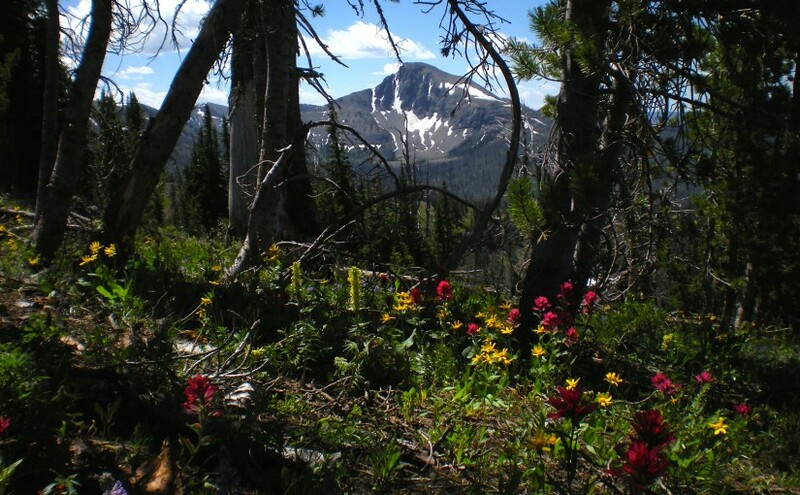 Indeed, as I was writing the piece the germinal images I used were those of being alone in the backcountry: the gamut of emotions one feels, sounds of wind, birds, sunlight in aspens, and the overall healing qualities of mountain wilderness. Musically, the piece is influenced by classical Indian Raga, Japanese traditional music and my own eclectic western music background. Special thanks to Professor Erika Eckert for commissioning the work, to the musicians for showing me some new and old techniques for their instruments, and to Drs. John Drumheller and Michael Theodore for their time, comments and assistance from the work’s inception to its completion.